Mazda is really on top of its game lately, introducing new trims, new powerplants, and even new cars. The latest car to get an upgrade is the Mazda CX-5, which is Mazda’s top selling vehicle and is known amongst the automotive community as a very fun to drive CUV. The 2nd generation Mazda CX-5 is a very sleek looking cross-over, we have reviewed it on two occasions previously, I personally enjoyed it a lot (as much as one can enjoy a CUV) on both occasions, have a look at our previous reviews here and here. 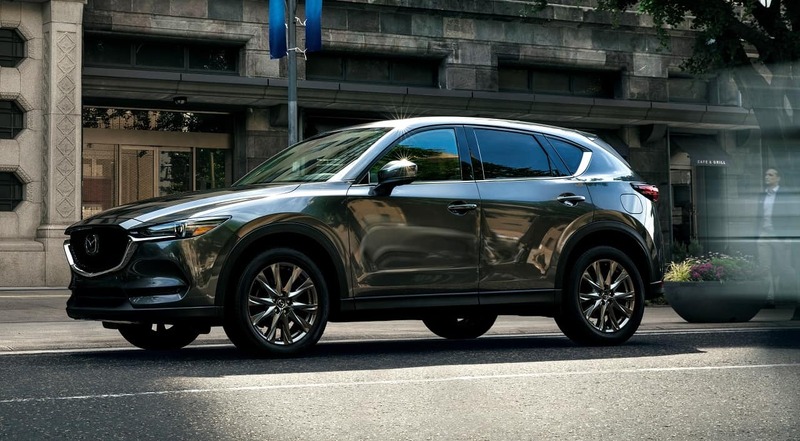 The big news for the 2019 model year is the introduction of the Signature trim on the CX-5, which we first saw on the CX-9, and the addition of the 2.5-liter turbocharged engine. The turbocharged engine is offered only on the top trims, the GT and Signature. The Signature trim has been a huge hit for Mazda ever since it was introduced on the CX-9; the trim was added to the Mazda6 and now the CX-5. The Signature trims on the three vehicles really set them apart from most/all of the mainstream cars, they give these vehicles a very upscale look and feel. Mazda already has some of the cleanest looking interiors, with the inclusion of the Signature trims, they are getting very close to luxury brands. Below is a list of prices for all of the trims of the 2019 Mazda CX-5. Add $900 for i-ACTIVESENSE Package to the GX AWD and $1,500 for the Comfort Package to the GS AWD. The above prices do not include $1,895 for Freight & PDE. Mazda has been recently introducing small (and big) changes to their vehicle lineup, by listening to their customers, they’re giving the people what they want the most. I had mentioned a few years ago that the Mazda6 would be an awesome car if it came with additional 40 horsepower, and that car got those additional ponies (I’m not saying it was because of me, but it’ll be a good story to tell the kids and grand kids). The same power boost comes to the Mazda CX-5 now, which comes with the 2.5-liter SKYACTIV-G turbocharged engine (on the top two trims only) with Dynamic Pressure Turbo (DPT). Power output is the same as Mazda’s other vehicles with this powerplant, which is 227 horsepower at 5,000 rpm on 87 octane fuel and 250 HP at 5,000 rpm on 93-octane fuel, I think most people will opt for the 87-octane fuel, thanks to our very high Canadian gas prices. The torque figure gets a huge boost to 310 pound-feet at 2,000 rpm on any grade fuel, that’s an increase of over 60% in torque (124 more torque) than the non-turbo 2.5-liter engine. The added horsepower and torque don’t lead to too much of a fuel consumption penalty, as the turbocharged engine is rated at 10.8/8.7 L/100 km in city/highway driving, compared to the consumption of 10.2 and 8.2 on the non-turbo 2.5-liter engine; the non-turbo engine is also offered with cylinder deactivation, which consumes 9.8/7.9 L/100 km, all these numbers are for the AWD models. I thought the 187 horsepower produced by the 2.5-liter engine was adequate enough for hauling around the CX-5 in the city and even on the highway, but I’ll never complain about more power (or MOAR power, as Clarkson would say). With the additional power, the CX-5 does become even fun and if I have to drive the less powerful version now, then you’ll probably hear me complain about it, such is the problem with having more. The engine is as smooth as ever, most people wouldn’t even know it was turbocharged. It pulls strong from stoplights and passing is very easy at legal (and illegal) highway speeds. The added power is nice icing on the cake, making a sporty crossover even sportier. 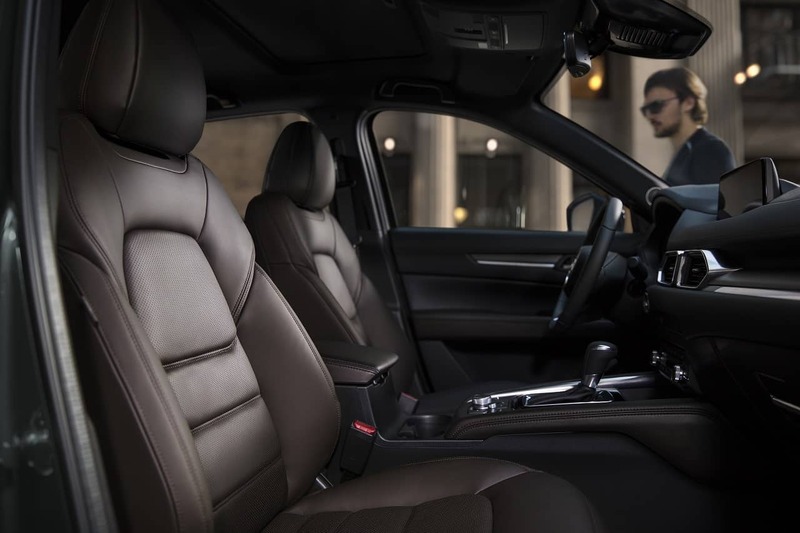 The Signature trim adds to the luxury side with beautiful Nappa leather, which is soft and feels very luxurious. Mazda interiors are already some of the cleanest/simplest in the industry, which is a good thing, with the addition of the Signature trim, they almost look like something from an Audi factory, which is a brand Mazda is aiming to emulate. In addition to the above changes, Mazda has brought some other changes the CX-5 lineup. All trims now include G-Vectoring Control Plus and, Apple CarPlay and Android auto. The GT and Signature trims get SiriusXM Traffic Plus and Travel Link, new 7.0” TFT screen (more on that below), cooled front seats, 19” wheels, and power-folding mirrors. Additionally, the Signature trim gets auto-dimming and frameless rear view mirror, Abachi wood trim, satin chrome accents, leather wrapped steering wheel, black headliner, and ambient LED interior lighting. 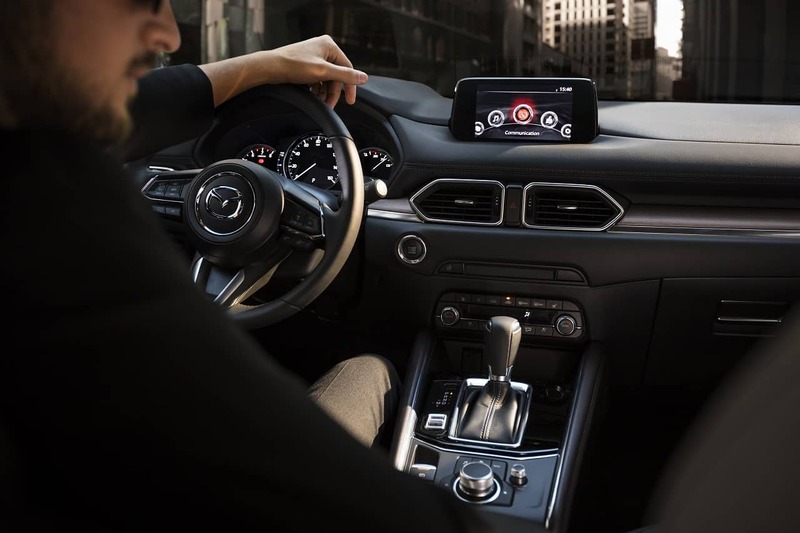 The new reconfigurable 7.0” TFT screen is a departure from the mainstream, Mazda has a philosophy of minimizing distracted driving, so they’ve made this screen a non-touch screen. This is completely opposite to the Tesla philosophy of put everything on the touchscreen. I must admit, I really like Mazda’s philosophy (I’ve never driven a Tesla, so I don’t know what that experience would be like). Even with their previous generation CX-5 and other vehicles, I rarely ever used the touchscreen thanks to that knob placed right behind the gear lever. The knob in question is called the “multi-function Commander” knob, which is very intuitive to use. Simply twist it right or left and it takes you from one menu to another, very easily. I’ve gotten so used to this knob that when I switch cars, my brain automatically is looking for it to switch between menus on those vehicles. I think this system works very well and reduces or completely eliminates you having to take your eyes off the road to look at the touchscreen to go between menus. Great job Mazda! However, when adding in an address into the navigation system, it does become a little cumbersome to scroll around a keyboard to go from one letter to the next to add an address. That can be remedied by using voice command, which is a little slow to respond compared to other cars I’ve reviewed. But I think this will probably get resolved in the new iteration of the system, which is already on the new Mazda3, a car I’m looking forward to reviewing very soon. Overall, I think one of the nicest mid/small crossovers just got even better. The Mazda CX-5 Signature is a fun to drive practical vehicle that now rivals some of the entry level luxury vehicles from Europe. I think the new trim and the addition of more power is going to make a very popular vehicle even more popular.